Spiral Coil Binding elements are one of the most popular and affordable binding solutions on the market today. These Plastic Coil Binding Spines are both durable and flexible and will not chip or crack over time. Spiral Coil allows your book to completely open to a lie flat position or to be folded over for easy reading. Our 4:1 pitch Spiral Plastic Coil Binding spines come in both 12 inch and 36 inch lengths. Numerous sizes are available to cover any size presentation that you may have. Several colors are offered to match or enhance your spiral plastic coil binding presentations, reports, manuals, proposals, booklets, etc. The flexible plastic coil make your documents ideal for mailing without having to worry about the binding spine being damaged. Our Spiral Coil Binding Spines are equivalent to GBC ColorCoil and are much more affordably priced. 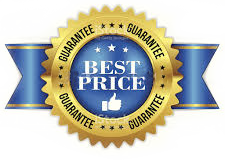 With our Guaranteed Lowest Pricing plus the additional savings you'll enjoy with our quantity pricing offers nobody saves you more money on premium spiral plastic coil binding supplies than Laminator.com.